Given our extensive coverage of West Sussex and Surrey towns and villages and our intimate local knowledge and experience, we pride ourselves on our ability to provide high quality waste disposal services at locally considered costs. That’s why we are one of the most trusted providers of skips Billingshurst customers turn to for their skip delivery and collection services. Our qualified and registered, family run business puts its customers at the heart of everything we do – so you can be sure that when you need Billingshurst skips and waste disposal, we will provide a most satisfactory service. 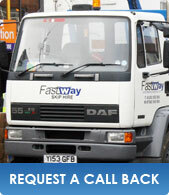 No job is too small or too large, as we cater for domestic and industrial skip hire needs and everything in between. Contact us today for a no obligation quote for your skip hire requirements, our lovely, friendly and helpful customer service advisors will be only too happy to help.